Ubuntu users rejoice! Google has been working on Netflix support at least since February. This affects not only Ubuntu users, but any linux users who also use the Chrome/Chromium web browser. 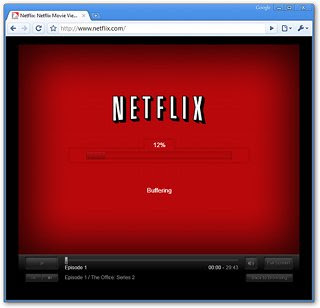 It was reported this morning during the Chromebook presentation at Google I/O that there would be Netflix support. With the Chromebooks being released June 15th, we should all see Netflix support in Google Chrome within the month.